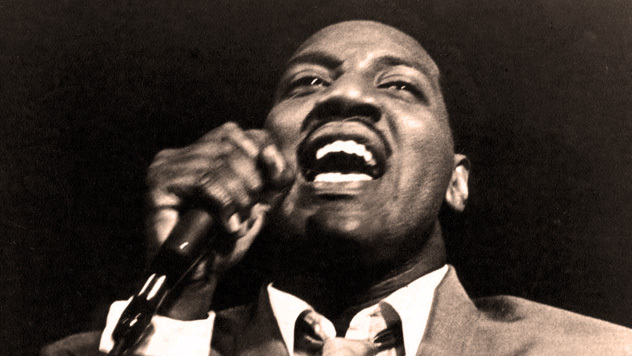 Otis Redding – The one – The only. The immortal Otis Redding this week, recorded in concert at an unidentified venue (I’m thinking Baltimore? – call for clarification from readers please!) on October 4, 1966. I forgot how turbo-charged Redding was in performance. This concert (actually two half-hour sets with an intermission in between) rocks almost continuously for over an hour. It’s a tribute to the talent and raw energy this man had, and just what it sounds like for an artist to throw themselves into their work. Redding was an astonishing performer, above his remarkable gift as an artist and writer. He really was an institution. And here is an hour’s worth of why. The sound is a bit rough, but hopefully it’s been smoothed out from some magical surgery I spent a few hours performing. It’s a frantic 71 minutes though. 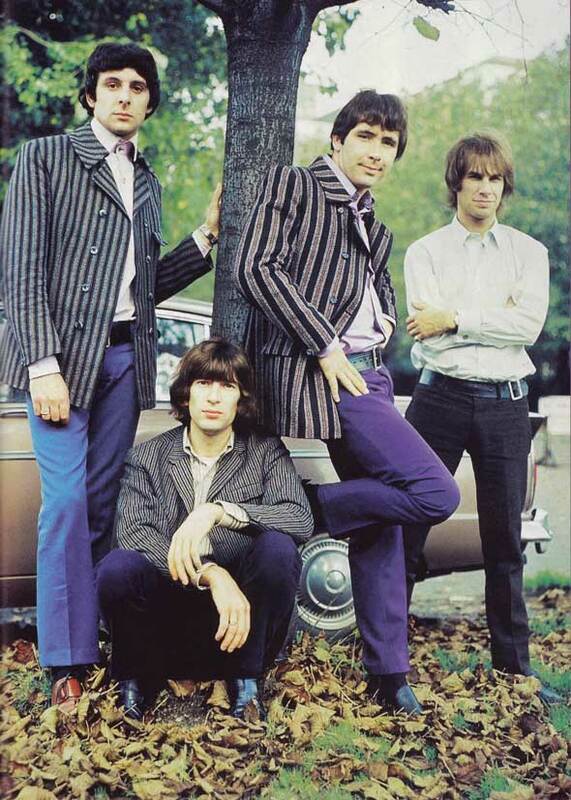 The Troggs – with a song that became an anthem. Hearing the sad news today that former leader singer for The Troggs, Reg Presley died today after a long bout with Cancer reminded me of just how much an anthem their major hit, Wild Thing was – how it practically defined the 1960’s and how it was covered by everyone from Jimi Hendrix to a spoof version by a Robert F. Kennedy imitator. How, in fact, Wild Thing became a mandatory song for every Garage band that came into existence from the late 1960’s on, pretty much assured its place in Rock history as a pivotal song for the times. That they didn’t really duplicate the massive popularity of that song, didn’t deter them from recording a string of lesser hits during the the late 60’s. But as was the case with many bands of the period – they couldn’t really sustain the momentum they had created initially. And so their popularity waned over the years, and The Troggs were forever to be known as the band that gave us Wild Thing and not much else. Still, in 1966 they were a band with a future. So tonight, as tribute to Reg Presley and his innuendo-laden vocal prowess, and the memory of just how popular they were, here is a session they cut for The BBC on July 4, 1966. They were to cut several more sessions for the BBC, but this was the first and it was the riding the crest of a huge wave. If you can, pretend you never heard Wild Thing before. 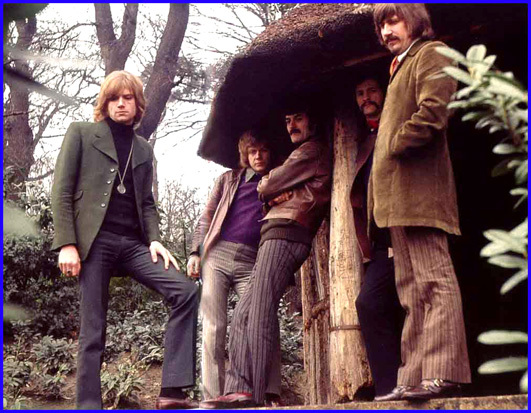 The Moody Blues – the image of the band standing under what appeared to be a giant mushroom did not fall on blind eyes. Most people have relegated The Moody Blues to a sort of caricature status in recent years – the epitome of the airey-faerie Hippy-love and tie-dye stereotype of the 60’s. Their music has been limited to the almost exclusive playing of Knights In White Satin or Tuesday Afternoon, their two biggest hits from the period, on most Oldies stations. And they’ve been pigeon-holed. But you have to remember that when The Moody Blues made the sweeping change from mid-60’s Beat Group to pioneers of Symphonic Rock in 1967 nobody else was doing it. And when Days Of Future Past was released it was a huge revelation and a massive step in the change of direction for Rock music. Along with The Who’s Tommy, The Beatles Sgt. Pepper, Days Of Future Past signaled a beginning in what would become known as The Concept Album. And it became a form which many bands emulated over the next 20 or so years. But with all the emulation came new insights and new points of view and more elaborate musicianship and The Moody Blues contribution during this time got relegated to curio status and that has been unfortunate. Bear in mind too, that when The Moody Blues first toured with this new concept, and introduced the Melotron as an integral part of the band, it wasn’t met with a lot of acceptance on the parts of many musicians. I remember when they first played Los Angeles in 1968, The Musicians Union had set up pickets to protest the use of the Melotron, saying it had replaced an entire string section of working musicians and that was deemed unfair by the powers-that-were. But most of that has been forgotten and, for the most part, marginalized with passing decades. So as a reminder of just how influential the band was during the first years of their sweeping change, here is a concert they did for The BBC. Recorded on December 17, 1969, featuring the lineup of that time, performing songs that were new then and heard with a different set of ears. If you aren’t familiar with The Moody Blues, here’s what you missed. If you are, here is reminder of what you may have forgotten about. Play it loud, because that’s how we heard it at the time. The Artwoods – 1967 – Nights At The Roundtable. The Artwoods (with Jon Lord, second from right) – A serious attack of talent. One of those bands in the 60’s that evolved into many different things while being highly respected. 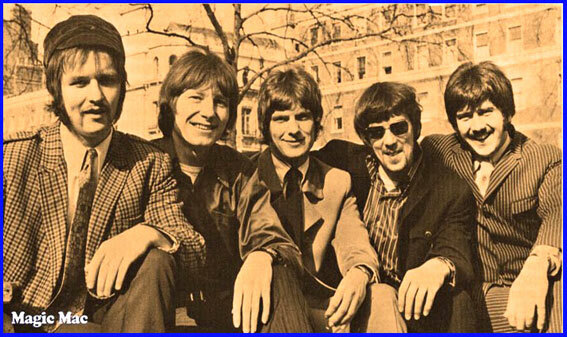 The Artwoods, with legendary keyboard player Jon Lord started life as The New Art Wood Combo in the early 60’s and then morphed into The Artwoods. Briefly morphing into The St. Valentine’s Day Massacre and then becoming Santa Barbara Machine Head. Briefly morphing into The Flowerpot Men before Jon Lord left to form Deep Purple. Tonight it’s one of the tracks from The Artwoods – a single cut for the Parlophone label in 1967. In The Deep End is that mixture of Psych/Blues and Pop. And while it didn’t score in the charts, was another one of those tracks that offered further evidence The Artwoods were a seriously talented band. October 23, 1962 – Cuban Missile Crisis Day 7: Waiting. Looking for the good news on this day. News for this day in 1962 was all about the Cuban Missile Crisis that had entered its 7th day, and every news organization was hanging on any shred of information or update it could grab on to. With its continuing news coverage of the Crisis, NBC Radio presented a Special Report on the goings on during this 7th Day of the crisis. Nail biting stuff – particularly if you had no idea what the outcome would be. 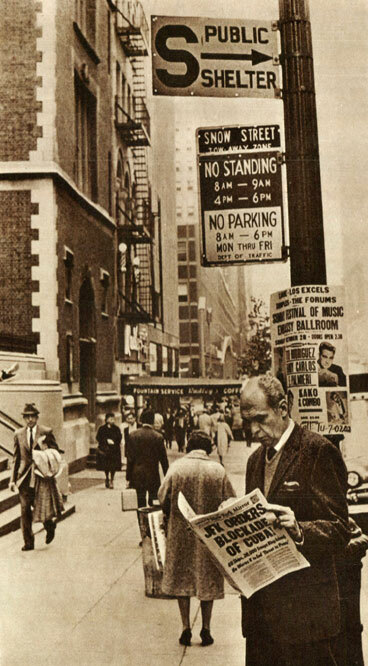 And on this day in 1962, we hadn’t. Cesar Chavez – The relentless struggle for dignity and a decent wage. 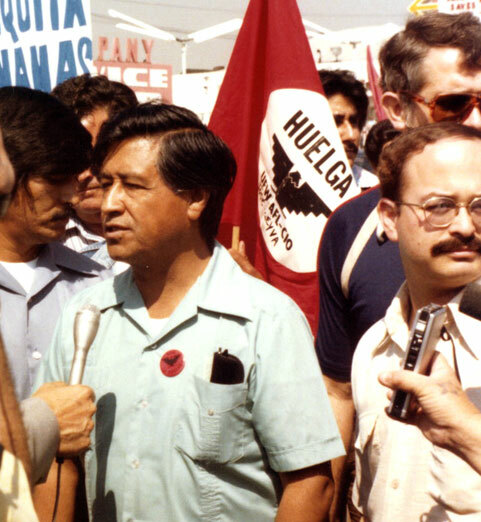 As a reminder today of just who Cesar Chavez was and what he stood for, here is an interview with Chavez from May 17, 1968, at the height of the Grape Boycott and the struggle for recognition the Migrant Farm Worker had throughout the 1950’s and 1960’s. 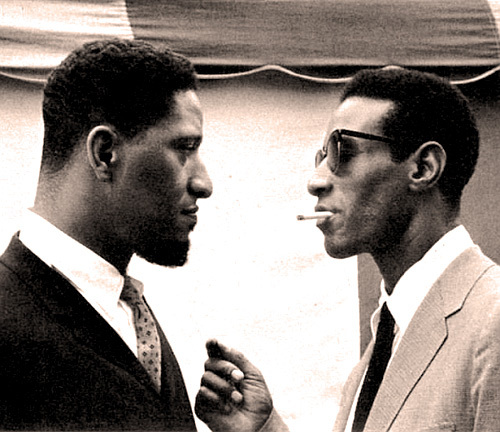 Sonny Rollins and Max Roach in 1966 – A gathering of giants. Another historic concert this weekend. This one featuring The Max Roach Quintet, joined by the legendary Sonny Rollins. All recorded on November 10, 1966 in Stockholm by Sveriges Radio. Along with Rollins and Roach are Freddie Hubbard (Trumpet), James Spaulding, (Alto), Ronnie Mathews (Piano) and Jymie Merritt (Bass). A cool one for a Sunday Afternoon.